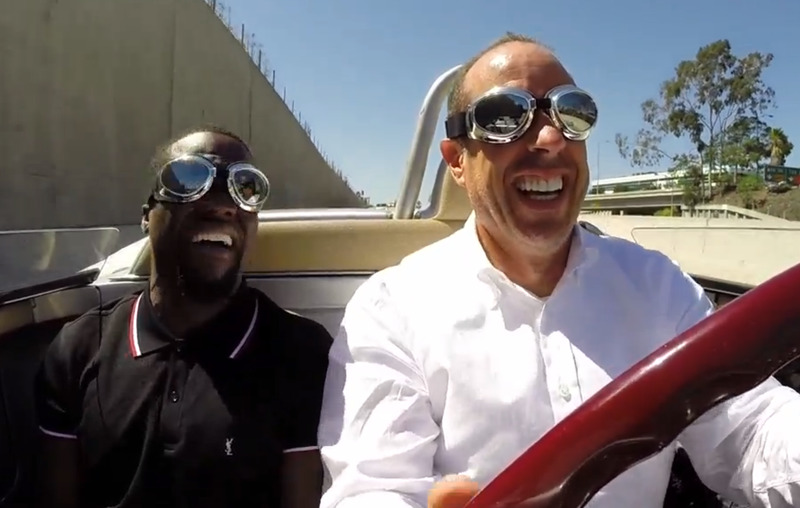 Crackle/SonyThe ‘Comedians In Cars Getting Coffee’ season 5 premiere with Kevin Hart was a huge hit. Jerry Seinfeld’s hit web show “Comedians In Cars Getting Coffee” had a record-breaking season 5 premiere last week and apparently Facebook is, in part, to thank. 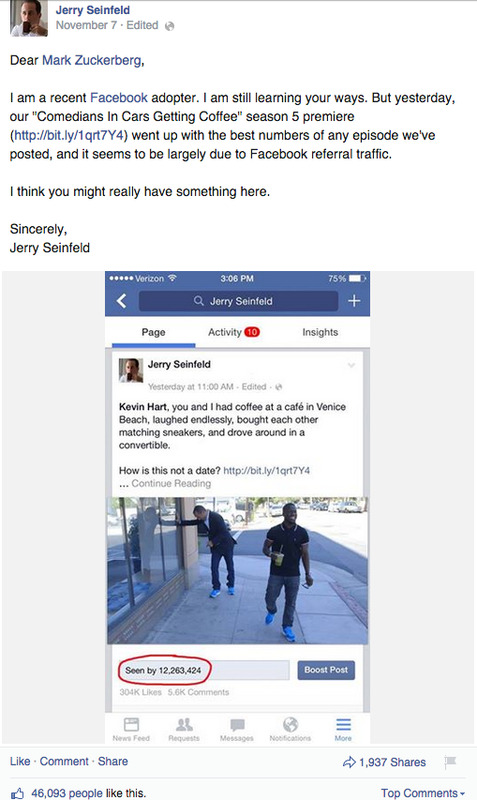 Seinfeld, who just joined Facebook in October and so far only has about 570,000 followers, did not provide specific traffic numbers, but shared a screenshot of a Facebook post from Nov. 6 in which he linked to the season premiere that has now been viewed by a whopping 12.2 million people and counting. As of Monday morning, that post has more than 340,000 “likes” and 11,000 shares. 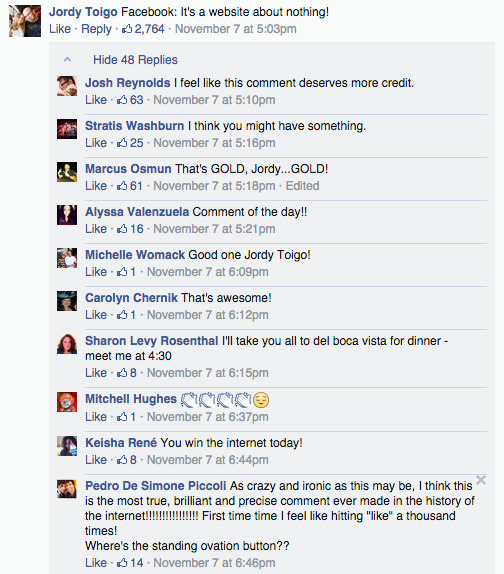 Zuckerberg responded with a “Thanks Jerry,” and welcomed him to Facebook. Kevin Hart appeared on Seinfeld’s “Comedians” season premiere, but Joan Rivers was slated to be the first guest before her unexpected death in September. The series’ current season 5 still has a long list of celebrities and comedians lined up for the show. Watch the trailer below.